Haifa Independent Film Festival's vision is to create an independent cultural autonomy by collaborating and supporting independent Palestinian venues and spaces for the purpose of creating a cultural discourse through activities that include screenings, workshops, talks, masterclasses and vibrant parties. 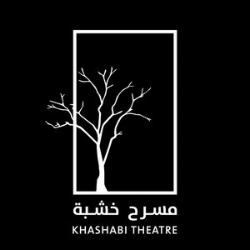 Khashabi Theatre is an independent cultural organization founded in Haifa, Khashabi works towards a Palestinian society that freely practices art and creativity as a natural right, and strives to renew its cultural identity by putting independent culture at its heart. Address: Khashabi, Corner of Shivat Tsion 21, Haifa. Event and performance venue and an alternative pub founded by Jazar Crew. Kabareet hosts local and international Music concerts, as well as promoting underground DJs and alternative music. Address: Kabareet, Sderot Ha-Meginim 40, Haifa. Manjm is a "Temporary Autonomous Zone" Haifa-based non commercial art space forwarded to stimulate contemporary creation, inter-disciplinary exhibition projects, educational values, and critical theory. Address: Manjm, Hakattar 1, Haifa. Haifa Arab theater founded in 1994, and since then it became a cultural center and theatrical space for fringe groups working in the Haifa area, as well as the largest theatrical institution for the local Arab population. Yet due to Israeli government restrictions, Al Midan was forced to stop most of its activities. Address: Al Midan, Khuri St 2, Haifa. Massaha is a production project that supports Independent Artistic Projects and the creation of new creative spaces. Address: Masaha, HaBankim St 7, Haifa. A Palestinian space and bar based on feminism and art in Haifa. The Scene is considered to be the first Palestinian venue in Haifa run by women and aims to create diverse cultural projects reaching various sectors of society while bringing them together in one safe and nonviolent setting. Address: Scene, Sderot HaMeginim 37, Haifa. The Arab Culture Association is an independent non-profit organization. Established in 1998 as the initiative of a group of intellectuals, academics and political activists aiming to strengthen Arab culture and identity for Palestinians living in Israel.